Mumbai | Actor Sidharth Malhotra and Diana Penty turned muse for fashion designer Rohit Bal at the Blenders Pride Fashion Tour 2018, held in Mumbai on Wednesday. 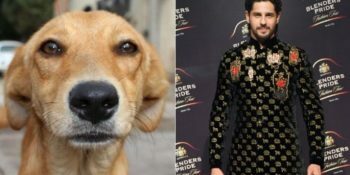 Animal lover Sidharth Malhotra and Diana Penty looked royal and dapper as they walked the ramp, but the real show-stealer was a stray dog, which stumbled upon the ramp walk and did his bit on the runway. As Sidharth Malhotra made his way to the runaway, a stray local dog stumbled on the stage, looking for food. As the old saying goes the show must go on and indeed it went on. The models and actor’s completed their walks without hurting or disturbing the animal. Eventually, it jumped into a nearby bush, not before the entire fashion aficionados were left in splits after seeing it nail the catwalk. Sharing his experience walking the ramp for designer Rohit Bal at Blenders Pride Fashion Tour, Sidharth said, “It’s a birthday gift to walk for him. I did ramp walk for him during my college days. A few months before, we were discussing that we have to do a show together and this show was organized on my birthday so, it was quite exciting. “I recently watched ‘Simmba’. It’s a really good and rocking film. I want to congratulate the entire team of ‘Simmba’ because the film is doing really well. 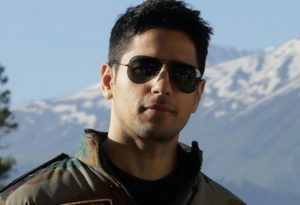 I think Rohit Shetty and Ranveer Singh have done great work in it,” said Sidharth Malhotra. Malhotra’s next will be seen onscreen in ‘Jabariya Jodi’ opposite Parineeti Chopra and in ‘Marjaavan’ along with Rakul Preet Singh, Riteish Deshmukh and Tara Sutaria.